His indoor PB was 61.09m but we knew he would break that easy today as Daniel Ståhl threw very, very far on our training camp in Fuerteventura two weeks ago. Still it was very unstable today at Nordenkampen meet and the technique was rough and inconsistent. But it ended up being 66.90m and the second farthest ever in history after Gerd Kanter’s world best indoor since 2009 of 69.51m. This result is very good for Daniel but there is much more coming sooner or later, the capacity is huge and with more stability and control everything is possible. 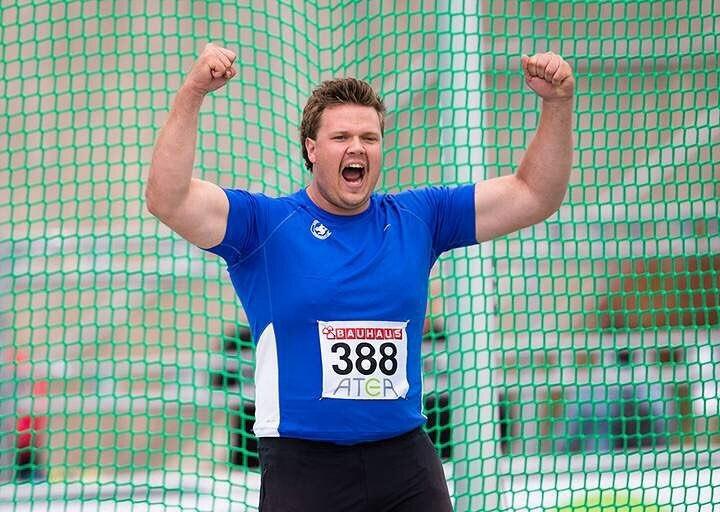 In the shot put was Daniel Mr. stability and threw six legal throws and three new indoor PB´s. 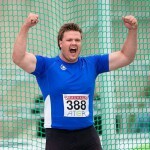 His previous since last weekend was 19.10m but this time he had 19.26m, 19.32m and 19.60m. Daniel got second in the meet with that performance. Outstanding day for Daniel here in Tampere in Finland. World Lead and National Record of Jamaica!